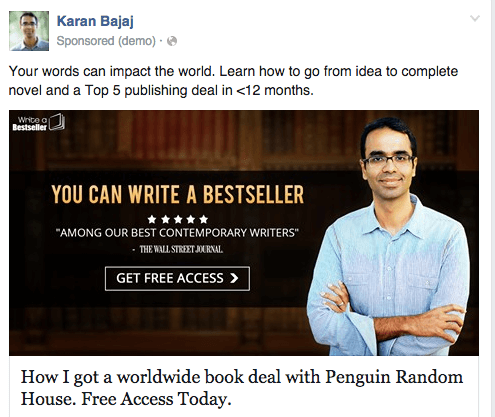 Karan Bajaj is a number one bestselling Indian novelist who created his first online course just a few months ago. 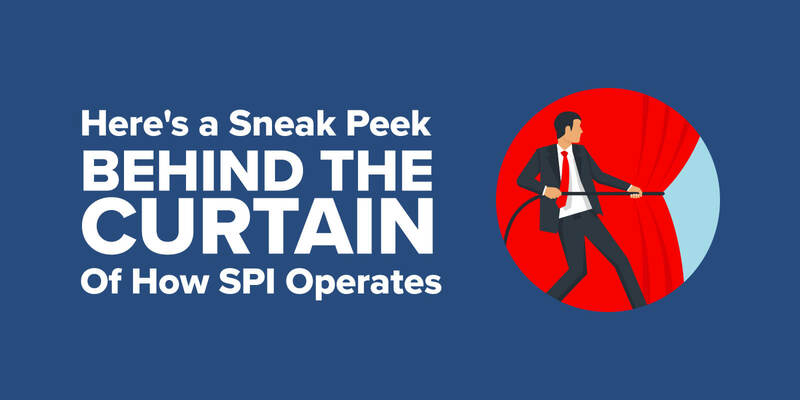 In this post, he describes how SPI helped him create a profitable course with no email list or prior online business experience in less than a month. 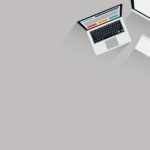 A must read for anyone who is on the fence, debating whether online courses are right for them. $272,000 over eight years is $2,833/month. I’ve always supplemented my writing income with a corporate job, but now with one kid and another on the way, I can’t write all weekend as I used to. So I had a deep, sinking feeling that my writing was about to give. *November 15 to February 15, excluding December 15 to January 15 when I paused given heavy holiday Facebook advertising in other categories. $8,358 over eight weeks is $4,179/month. An online course teaching people how to get book deals has earned me 48 percent higher income per month than my book deals. It’s still not enough to quit my day job, but it’s given me hope that in a few years, my daughters will see me at home on a Sunday instead of huddled away, writing in a cafe. My numbers pale in comparison to the excellent case studies on Pat’s website. However, until October 15, 2015, I knew absolutely nothing about email automation funnels, video courses, or online business models. I didn’t have an opt-in form on my website. I didn’t even have a Mailchimp email list. Yet, within a month, I launched an income generating course. 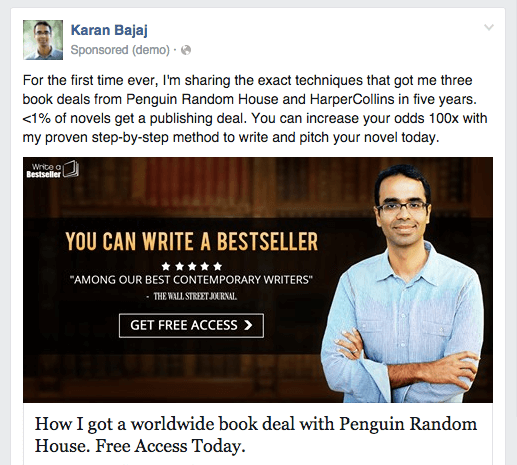 I zeroed in on the idea of doing the “How to Get a Top 5 Book Deal” course within just three days of hearing about online courses because I kept repeating one question I read in Pat’s excellent blog on knowing your brand. What disease do I want to cure in the world? Just this one question helped me articulate exactly what tangible return my course would give. I wanted to cure the belief I’ve heard from aspiring and frustrated writers again and again: to get a top book deal means you need to “know people” or have a big platform. I had neither and got three book deals in five years with Penguin Random House and HarperCollins. So I wanted to share the exact step-by-step writing and querying method that’s worked for me with other aspiring writers. Step 1: Drive prospects to an opt-in page (see Opt-In Page here) with high-value free incentives. 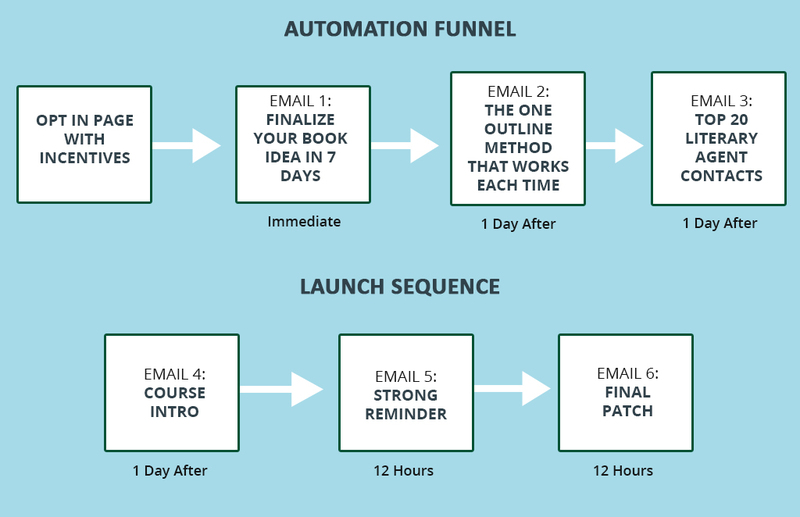 Step 2: Lead opt-in page subscribers through an automated email series directing to conversion (see final conversion page here). I’m sure webinars, subscription models, etc. will enhance the course. But, if you’re a complete online newbie like me, there’s still hope you can create a profitable online product without drowning in complexity. 2. Pour Your Heart into Every Email in the Funnel. I was intimidated when I first conceptualized this course. James Patterson was offering a MasterClass on writing for $99. Who was I to teach how to write and pitch a novel when people like James have been writing bestsellers for years? I took James’s course as well as a couple of other successful writers’ courses in one day and realized that my biggest liability was actually an asset. I was a struggling writer who’d been rejected sixty-one times by literary agents. So rather than lecture from a pedestal, I poured my heart out to subscribers about my journey of rejection, dejection, and the eventual success of getting multiple book deals from HarperCollins and Random House. One of the most heart-wrenching steps in the process of getting a worldwide book deal with Penguin Random House was querying US literary agents. Each day, I would send queries to ten top US literary agents and, initially, it felt like they were going into the ether. Did they receive the query? Do they like it? How long will it take for them to respond? Should I send them a reminder? I’d torment myself with these questions and would search for other writers’ experiences on the Internet but most of the responses in Absolute Write and other forums were from unpublished writers. I’d been writing my novel for more than one year at this point, so well-meaning friends and family would suggest I self-publish my novel. Never, I’d say silently to them. Somewhere deep inside me, I knew I could crack the system to get a top five international publishing deal. And eventually I did. Today, I’ll share a snapshot of my method so you don’t have to go through this dark tunnel of waiting and rejection. 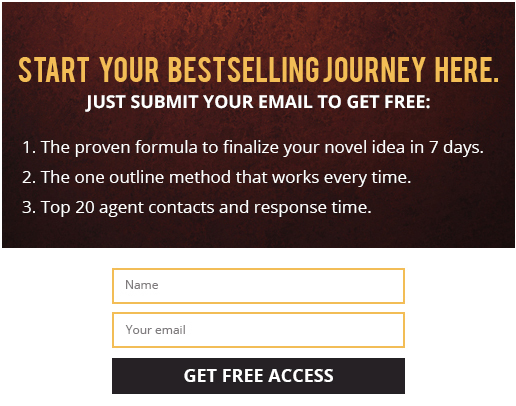 Here is the exact query letter and follow-up method I used to get agent responses in record time, eventually landing representation offers from multiple top US literary agents within seven days. My open rates for these emails are 45 percent and click rates are 18 percent. More importantly, almost a tenth of the people who read these emails replied to me personally, and these are often the ones who convert at the end of the funnel. With every email, I followed Pat’s approach of envisioning a real person at the other end of the email rather than a number and sharing the best of what I know. As a result, selling the course has felt completely organic and never like marketing. 3. Create Urgency in an Evergreen Course With Urgent Copy. I had learned the extreme importance of creating urgency in the sales process from Pat’s conversation with Bryan Harris but I didn’t want to go with a frequent “launch/closing” course model since my real passion is for writing novels and I didn’t want an online business model to distract from that. So I created urgency using these three techniques. 1. I use urgent, emotional copy. You know writing is hard work. But is hard work enough? Between 2012 and 2013, my debut US novel was rejected by sixty-one literary agents until I changed my approach. Within one month, I had multiple representation offers from top agents, and, later, multiple book deals from three of the top five publishing houses. I eventually sold worldwide rights to Penguin Random House’s Riverhead imprint. Just one decision to change my approach changed my outcome. Is 2016 going to be the year you make that decision and have the impact you deserve in the world? The urgency I created is an emotional urgency of time slipping away for people to pursue their dreams versus the closing of the course. 2. I provide limited-time only bonuses. Are you teaching people something that can change their life by helping them increase their self-confidence, if not their income? Then, a combination of hard-hitting copy with scarcity incentives can force people to not postpone a life-changing decision. 4. Optimize Acquisition Cost With a Bullseye Advertising Model. I had no mailing list, lead magnets, or opt-in forms before doing the course. The seven hundred people I emailed for my course launch were fans of my novels. I got a few sales from them, but for all intents and purposes, I had to build leads from scratch to sell the course sustainably. Kimra Luna’s interview with Pat Flynn inspired me to test Facebook advertising, and within a few weeks, I cracked the following Facebook advertising model to generate highly qualified leads at $1.20 cost per acquisition (CPA, or cost spent in Facebook advertising for every sign-up on my Mailchimp list). I spend the most on our warmest prospect or bullseye—people who’ve visited writing and publishing related blogs on my website. They’re clearly interested in the subject and know my content. My cost per acquisition for these subscribers is $0.60. 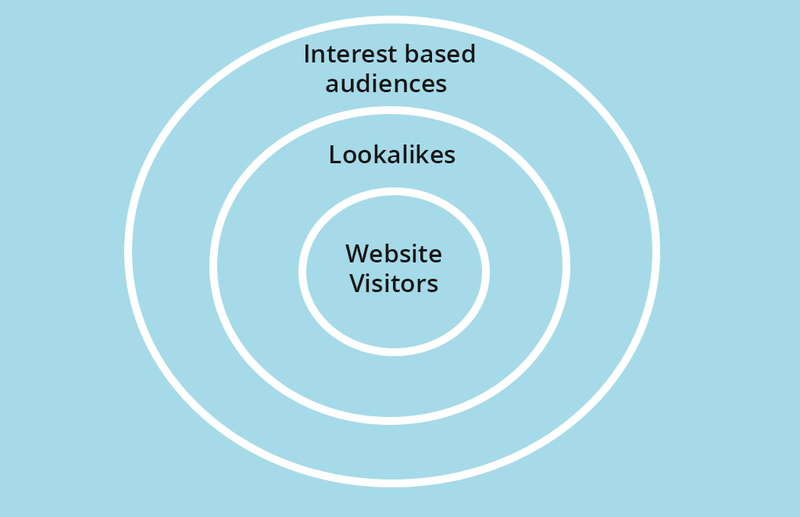 Only after website visitors have seen my Facebook ads two times, I go after lookalikes of website visitors, a custom audience generated by Facebook with similar interests and profiles as my website visitors. My CPA with this audience is $1.40. Finally, I spend the least on interest audiences (people interested in various writing and publishing related pages on Facebook). They are our coldest prospects because they don’t know me or match the profile of people who know me. As a result, the CPA is also the highest here at $2.00. Through this approach of focusing the heaviest on website visitors and lookalike audiences, I grew from zero to 1,800 subscribers in three months while making a net profit of $6.57 per subscriber. Even more importantly, it has underlined the importance of publishing legendary, original content related to writing and publishing on my website. The more writing-related website visitors I have, the more cost-efficient an advertising pool we create since website visitors and lookalike audiences lie at the center of our advertising strategy. 5. Launch a Minimum Viable Product Quickly, Then Optimize Constantly. I didn’t have the good fortune of reading Pat’s excellent Will it Fly? when I launched the course, but I validated my idea with the basic research as outlined by Pat here and launched my course in rapid timings as below. Since then, I’ve constantly optimized the course to reduce costs and improve revenue. For instance, even though my first Facebook advertising campaign was profitable, I tried a new ad with different header copy. The new ad lowered CPA by 35 percent with just a change in header copy. Immediately, we saw a 1.2 percentage points jump in conversion and a 30 percent improvement in revenue per subscriber. As a result of these tweaks, my month two profitability is 51 percent higher than month one on a per unit basis. These are things I could’ve never conceptualized in planning. If you’ve proven your basic idea is viable, launching and learning is so much more powerful than thinking of launching. The urgency to learn, measure, and make decisions is highest when you see a live return from your tests. Courtesy of Ramit Sethi’s Zero-to-Launch system. 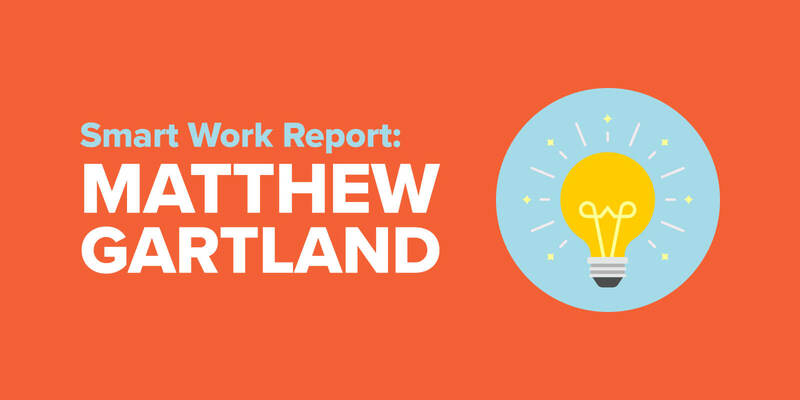 Developer & Designer: Used Upwork to find a developer and a designer based on solid past reviews. 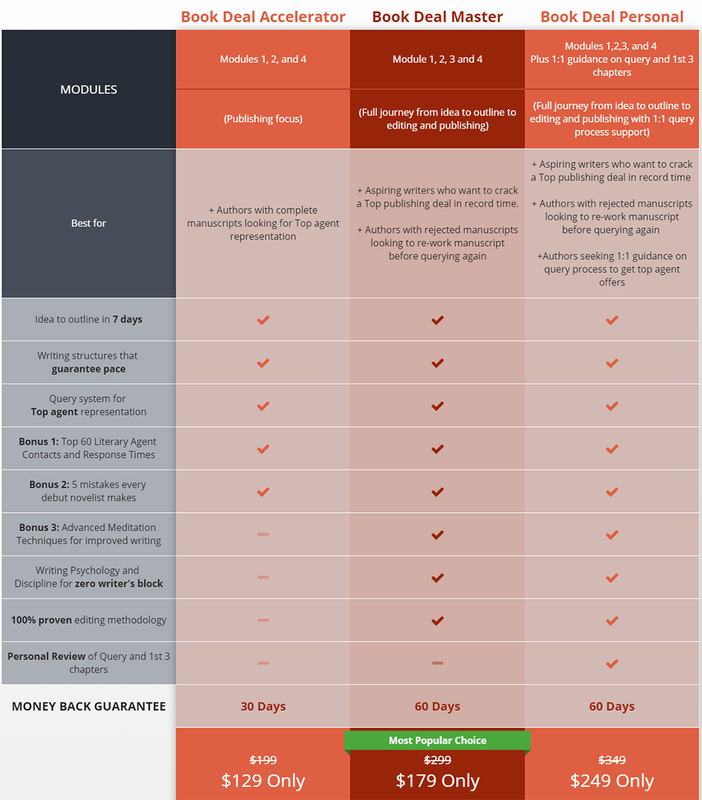 Total Cost for full course hosting and opt-in and conversion page designs on my existing WordPress interface: $1,100. You can probably do this yourself but I’m quite technologically challenged (shameful, I know, being an Indian!) so I outsourced everything. Video Shooting: Freelancer based on personal contacts. Total cost of full day shoot, including basic editing for three hours of video content: $700. Video Hosting: Wistia password protected by WishList Member. This was not as effective as I wanted for international payments because they couldn’t show payments in local currency on the purchase page. I would’ve liked to test conversion rate impact if I could show course fees in Rupees in India. I’d definitely go with a different payment gateway next time. Do You Have a Passion That Doesn’t Pay the Bills? For almost a decade, I’ve tried to balance my passion for writing fiction with a day job—and didn’t think I could ever break this cycle. SPI showed me that I could in one month with no email list, opt-in forms, or online business experience. Do you have a passion you’re struggling to monetize? Would you consider an online course to teach that passion? Let me know in the comments below. I’ll respond to each one—and give three lucky commenters the very first signed copies of The Yoga of Max’s Discontent, my new novel with Random House to be released worldwide on May 3!